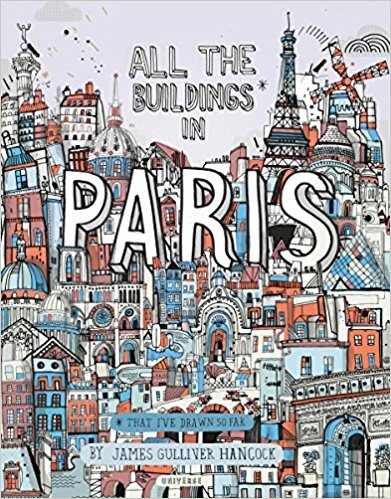 ALL THE BUILDINGS IN PARIS: That I’ve Drawn So Far is a must, a love letter to the city’s diverse architectural styles and streetscapes told through James Gulliver Hancock’s unique and charming drawings. Published by the esteemed house of Universe, this very unusual combination of the artistic and the technical presents the Parisian cityscape as a colorful, one-of-a-kind journey. If you love Paris, and who doesn’t, you’ll love this book! A perfect gift, too.